From the bestselling author who brought us Perfect on Paper and Cassidy Lane comes the tale of a young woman who wakes up one day and decides to start over. Katrina Lynden has always walked a straight line in life, an approach that has resulted in a stable career and pleased her hard-nosed parents but that has also left her feeling unfulfilled—and miserable. 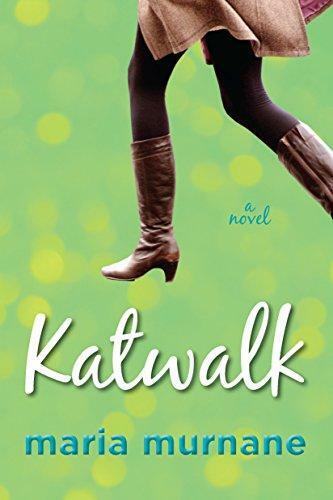 When her best friend suggests they quit their Silicon Valley jobs and embark on two months of adventure in New York City, Katrina balks at the idea but ultimately agrees, terrified yet proud of herself for finally doing something interesting with her life. But when her friend has to back out at the last minute, Katrina finds herself with a tough decision to make. Much to her surprise, she summons the courage to go alone, and the resulting journey changes everything. Along the way she makes new friends, loses others, learns what is really important to her, and finds a way to grow up without leaving herself behind.